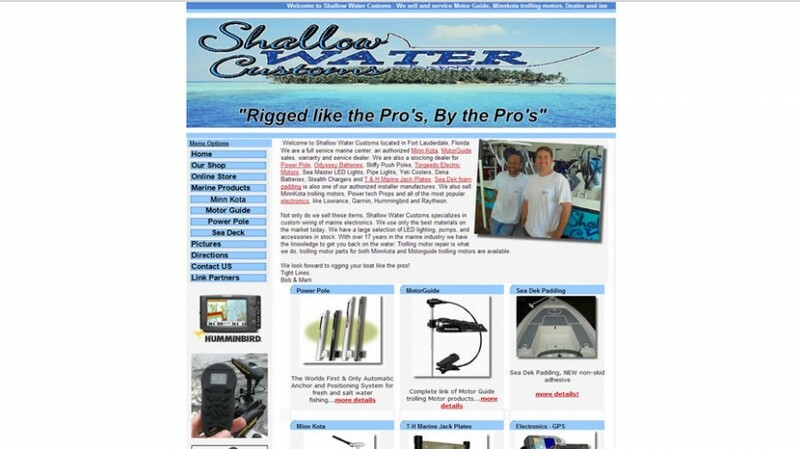 We are a full service marine center, an authorized Minn Kota, MotorGuide sales, warranty and service dealer. We are also a stocking dealer for Power Pole, Odyssey Batteries, Stiffy Push Poles, Torqeedo Electric Motors, Sea Master LED Lights, Pipe Lights, Yeti Coolers, Deka Batteries, Stealth Chargers and T & H Marine Jack Plates. Sea Dek foam padding is also one of our authorized installer manufactures. We also sell MinnKota trolling motors, Power tech Props and all of the most popular electronics, like Lowrance, Garmin, Hummingbird and Raytheon.